Great shape, recently rebuilt motor have never had to spend any money on repairs. Volvo engine. 29’ with trailer that has new tires. Electric toilet down stairs with sink and vanity. Sink also on main deck. The overall condition is reported to be a solid 9+ out of 10. Freshwater use only - Very limited usage in the northern CA/ Nevada mountain lakes. She's ready to hit the water! Motivated Seller - ALL reasonable offers will be considered Stock #155743 VERY LOW HOURS -- (45) --- LIKE NEW! *****ALL reasonable OFFERS will be considered! 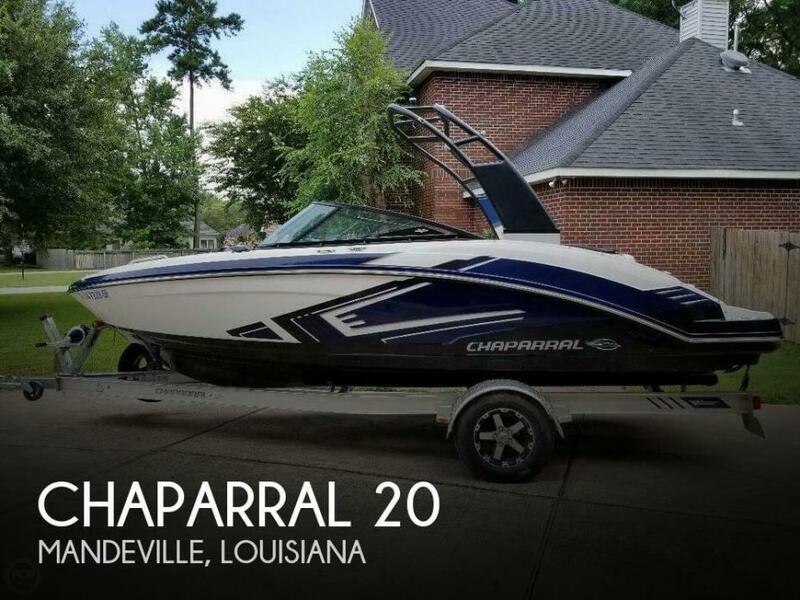 ***** If you are in the market for a ski/wakeboard boat, look no further than this 2016 Chaparral 203 VRX, just reduced to $31,500 (offers encouraged). 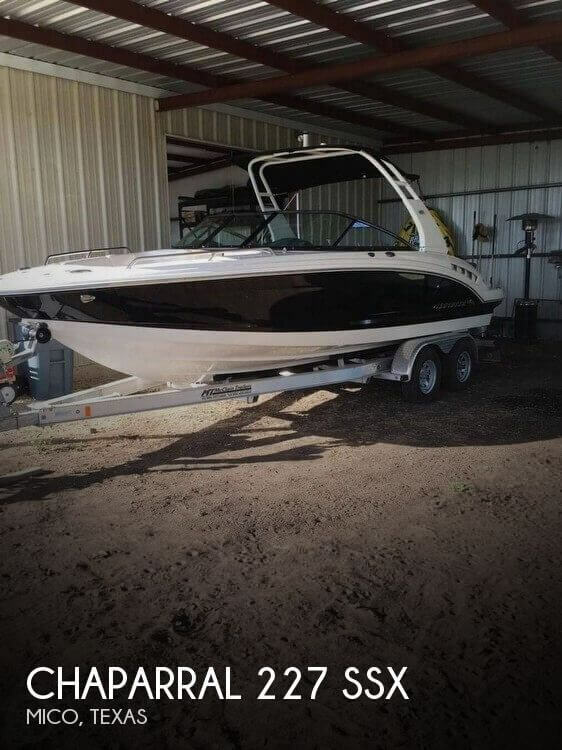 This boat is located in Sparks, Nevada and is in great condition. She is also equipped with a Rotax engine that has only 45 hours. Reason for selling is not enough time to use the boat. 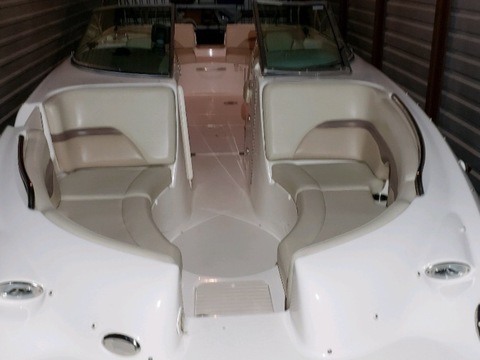 The hull, engine, trailer and all components of this 2016 Chaparral 203 Vortex are reported to be and appear to be in like new excellent working condition. Kept clean and covered she comes with bow cover, cockpit cover and full cover. Stock #175551 Like new 2016 Chaparral Vortex 203 VRX with only 12 hours! Fresh water only! 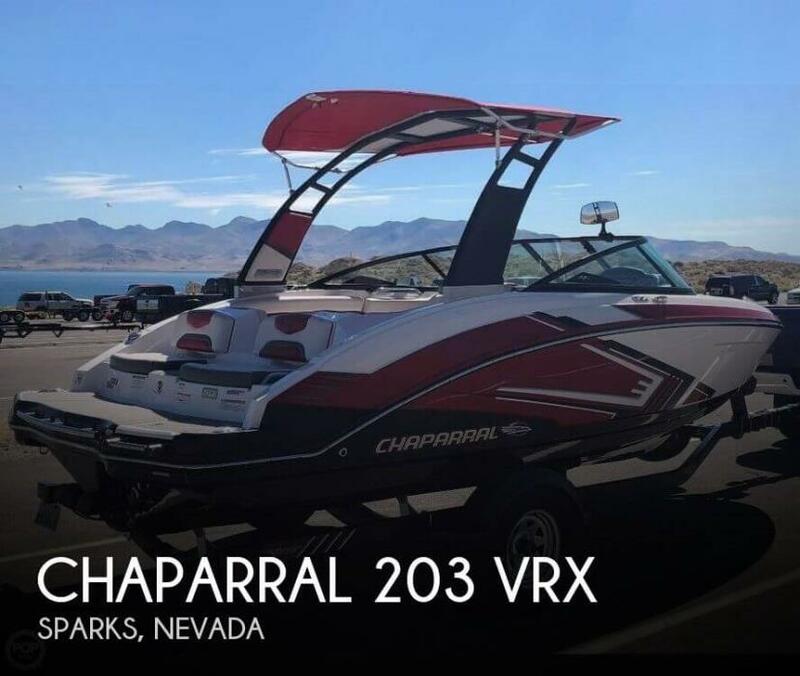 If you are in the market for a bowrider, look no further than this 2016 Chaparral 203 Vortex, priced right at $38,900 (offers encouraged). 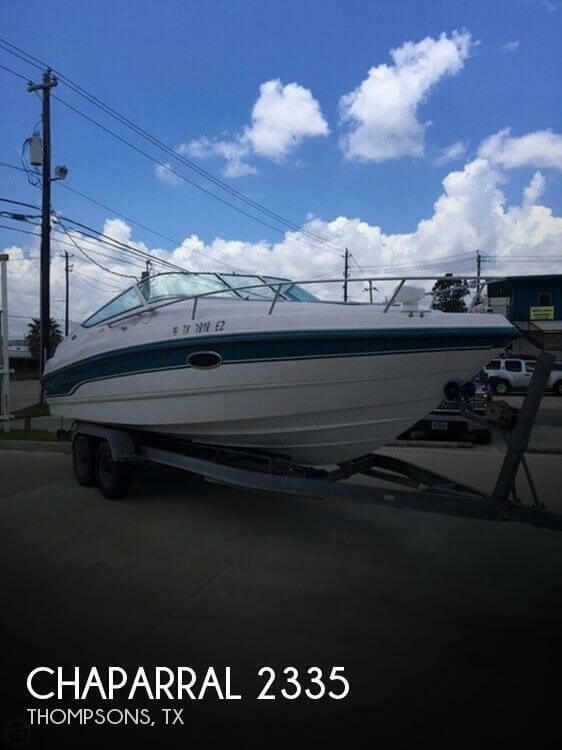 This boat is located in Mandeville, Louisiana and is in great condition. She is also equipped with a Rotax engine that has only 12 hours. Reason for selling is doesn't use. This broker has inspected this vessel and can attest to the accuracy of the description, pictures and video. We encourage all inquiries and questions relating to its present condition, the accuracy of details including but not limited to its location, engine hours, service history, listing status and features. Stock #162201 Nearly new, not even broken in!! Why buy new when this beauty is available at a discounted price If you are in the market for a cuddy cabin, look no further than this 2017 Chaparral 225 SSI, priced right at $65,000 (offers encouraged). 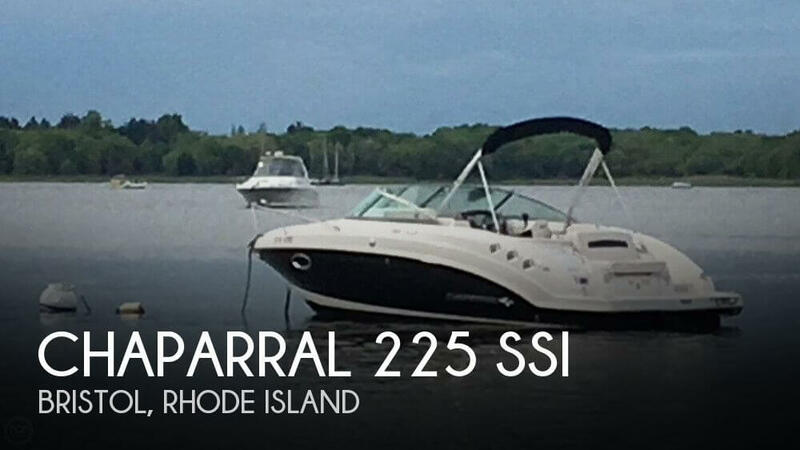 This boat is located in Bristol, Rhode Island and is in great condition. She is also equipped with a Mercruiser engine that has only 65 hours. Reason for selling is moving up to an express cruiser. The listing broker has not personally seen the vessel. The information and pictures have been provided directly from the seller. The seller reports having maintenance records from over the length of ownership. The owner does report a small area in the rear starboard side being soft on the deck Stock #176658 GREAT LOOKING WEEKENDER CUDDY CABIN! WELL POWERED WITH A 7.4L/V8 VOLVO PENTA!! DUAL PROPS! LOTS OF CABIN SPACE! READY FOR YOUR NEXT TRIP TO THE LAKE!! If you are in the market for a cuddy cabin, look no further than this 1995 Chaparral 2335, priced right at $15,250 (offers encouraged). This boat is located in Thompsons, Texas and is in good condition. She is also equipped with a Volvo Penta engine. Reason for selling is never has the time to take the boat out. Upholstery is in very good condition. The deck is solid and gel coat is in good condition. The bottom has water stains that can be removed (with the right compounds and process) with no damage to the hull. The boat is on a trailer and ready to go! Stock #176516 Very popular bowrider in good condition. Ready for cruising or watersports! If you are in the market for a bowrider, look no further than this 2006 Chaparral 220 SSI, priced right at $26,500 (offers encouraged). 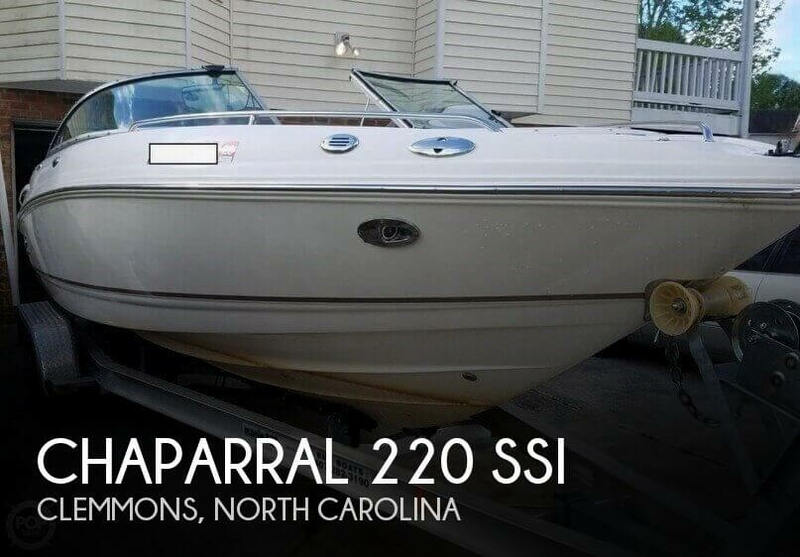 This boat is located in Clemmons, North Carolina and is in good condition. She is also equipped with a Volvo Penta engine. Reason for selling is fishing boat. This CHAPARRAL is a low hour boat. ALWAYS stored under cover. It is kept in a steel barn with snap-on covers. NO FULL BOAT COVER, but it isn't needed. The boat is stored on a clean, coastal hay farm and is fully enclosed at all times. 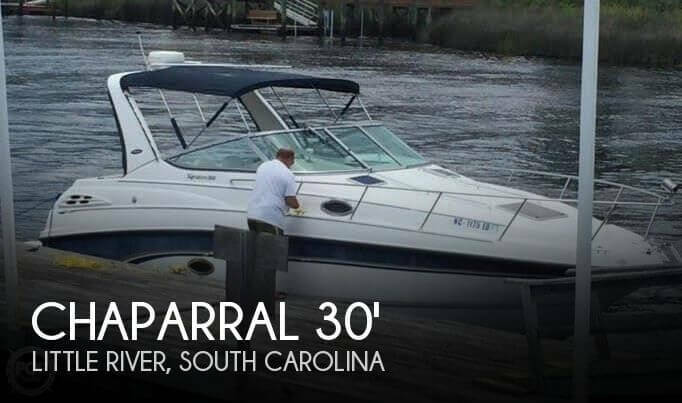 The seller keeps this boat spotless. The only "negs" I noticed on the boat are (1) part of the CHAPARRAL emblem on the rt side is missing a 2" piece of chrome. I think most people would never notice it, but I did take a photo for you so you can see what I mean. (2) there is a 1" scratch on the left side ( in pics ) which I think can be buffed out without much effort at all. Other than these two items, I cannot say anything negative about this boat. It is really clean and cared for. Stock #135209 READY TO GO! Wraparound full-height backrest cushions w/ample dry riding freeboard to create a spacious, secure feel. Insulated ice chest & MUCH MORE! If you are in the market for a bowrider, look no further than this 2016 Chaparral 227 SSX, just reduced to $62,500 (offers encouraged). This boat is located in Mico, Texas and is in great condition. She is also equipped with a Mercruiser engine that has only 36 hours. Reason for selling is 2 young babies.....buying a slow, safe, pontoon boat. This boat is in excellent condition for its age. Overall, better than expected condition because of course, the boat is 25 years old. The current owner has taken good care of the boat and made some nice improvements. 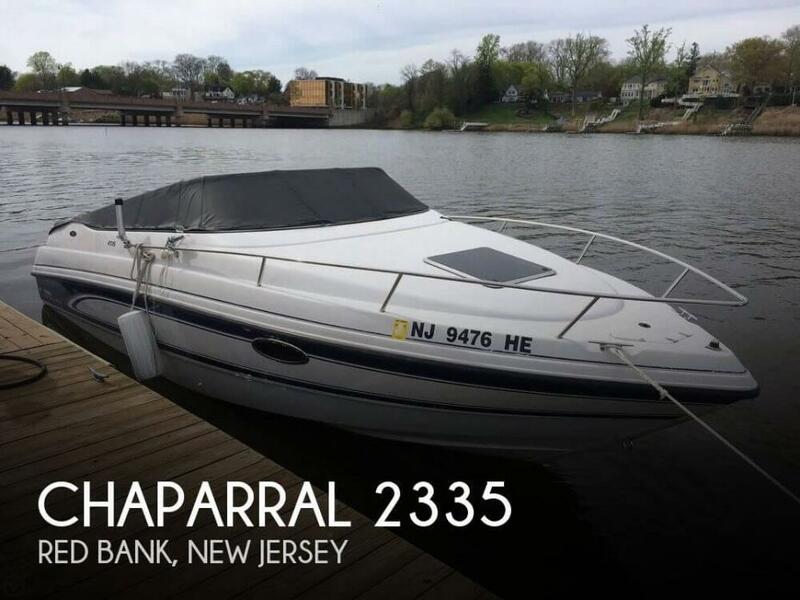 Stock #175206 Super Clean Chaparral Signature Great shape, reasy to Fish or Cruise, trailer included! 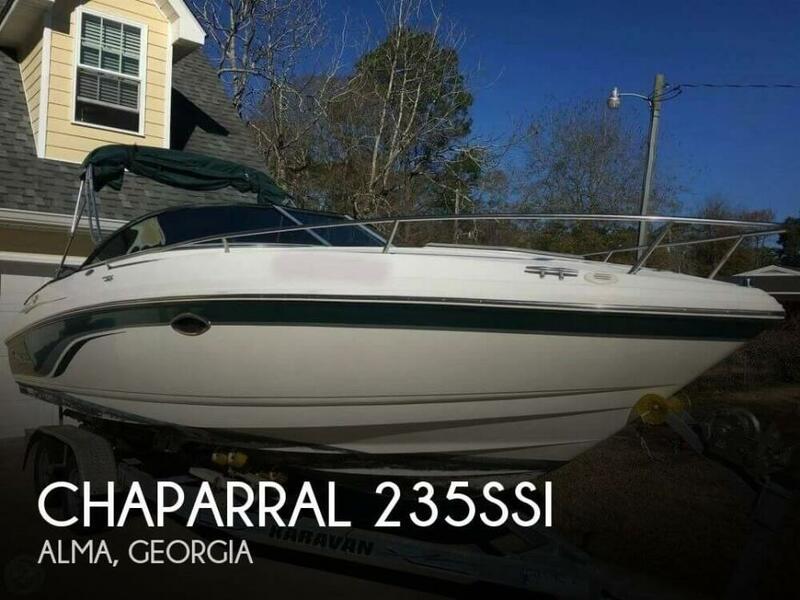 If you are in the market for an express cruiser, look no further than this 1993 Chaparral Signature 24, priced right at $15,250 (offers encouraged). 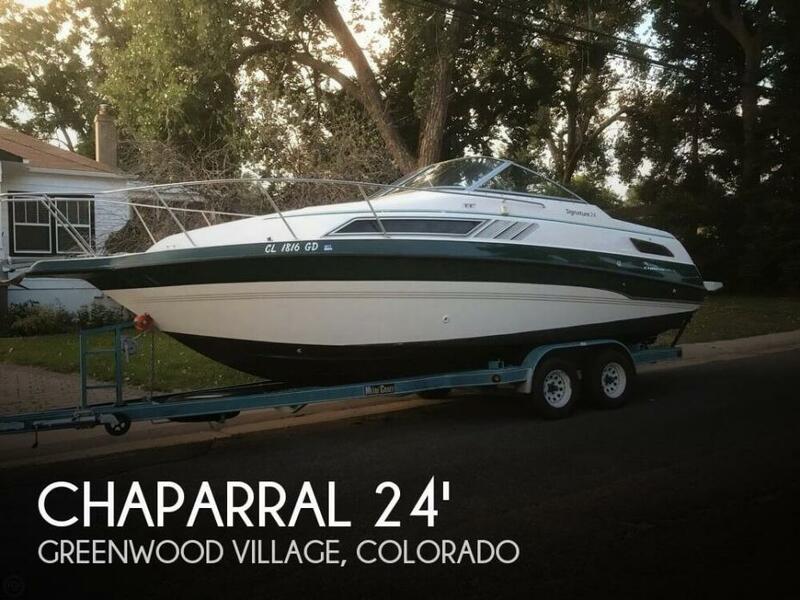 This boat is located in Greenwood Village, Colorado and is in great condition. She is also equipped with a Volvo Penta engine. Reason for selling is moving up in size. The condition of the vessel is better than expected. No damage was visible, just normal wear and tear. Stitching in cushions looked good when photos were taken. Due to the age of the boat, more wear and tear was expected but not visible. Owners have loved and maintained her well. Stock #175060 2005 Chaparral Sunesta 274 - Double the Amenities Means Double the Fun! If you are in the market for a deck boat, look no further than this 2005 Chaparral 274 Sunesta, priced right at $38,900 (offers encouraged). 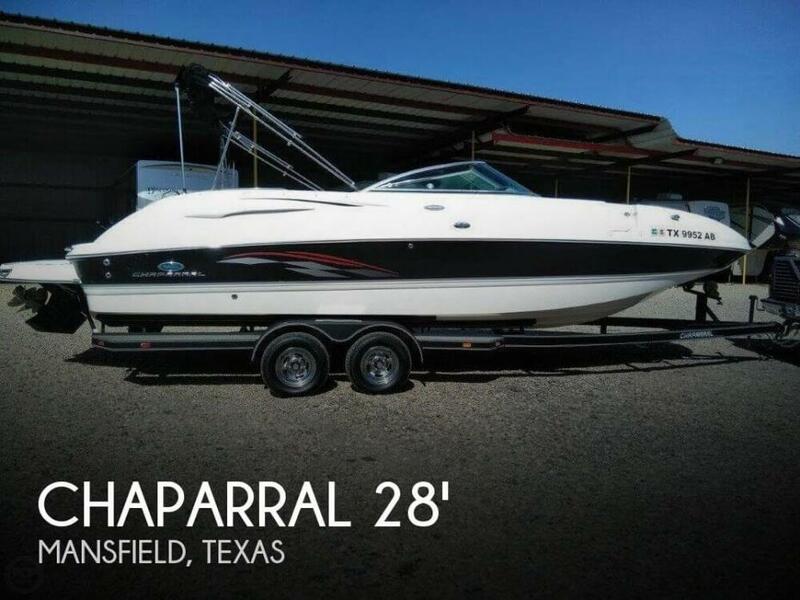 This boat is located in Mansfield, Texas and is in good condition. She is also equipped with a Mercruiser engine that has 336 hours. Reason for selling is downsizing. Per the seller, this Chaparral is in excellent condition, with just 530 fresh water hours on her. All regular maintenance has been performed annually. The marina where she was purchased not only slipped her for the seller but professionally maintained the boat. Stock #170686 Yacht Certified so no limit to the number of people you can have on the boat. If you are in the market for a deck boat, look no further than this 2006 Chaparral Sunesta 274, priced right at $35,500 (offers encouraged). This boat is located in Shakopee, Minnesota and is in great condition. She is also equipped with a Volvo Penta engine that has 520 hours. Reason for selling is wants to change type of boat. Chaparral is in good condition for age. Exterior hull and deck areas appeared solid. Navy gelcoat is faded. Interior vinyl seating is faded but in overall good condition. Mercruiser Engine block was replaced in 2016 with exhaust manifolds and risers. Outdrive replaced with Bravo II drive. Mechanic stated he replaced the long block with new risers and manifolds. Also replaced outdrive with a Bravo Two. The cabin area is neat. No stains or leaks are apparent on the headliner or bulkhead lining. Stock #130125 Chaparral Performance ! YOU WON'T FIND A BETTER BOAT FOR A BETTER PRICE!!!! Reason for selling is moving to nyc. OWNER NOTES: The boat has about 280 original hours on it with service completed every season. Twin batteries were purchased in 2016. One of the nicest features we have enjoyed on this boat is the full isinglass that came with it; Full enclosure with screens on the rear for maximum airflow. Great aftermarket stereo system. Depth finder has not worked since I have owned the boat. I use a GPS app on my phone. Vinyl on the rear layout has shrunk some due to the boat being 19 years old, we have just added some stitches to it since we cover them with towels anyways. Other then those 2 minor things, the boat is great and has treated us fantastic. We purchased in 2016 and have babied her since. Waxed twice a year minimum. fluids flushed and replaced at least once a year. We didn't run the boat much at higher RPMs but, Marine Max of Jacksonville Beach, who serviced the boat in Spring of 2018, said the fastest they got the boat up to was 55mph. 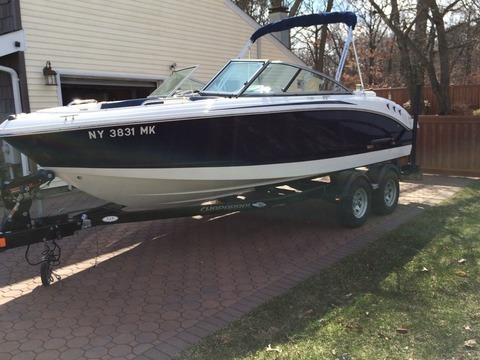 This is a great boat for her age with low hours. Bring all respectable offers. Stock #176932 VERY NICE CHAPARRAL POWERED BY A FUEL EFFICIENT Volvo Penta GSi 5.7L 280 HP POWER PLANT WITH VERY LOW HOURS ~ 2017 TRAILER INCLUDED! If you are in the market for a cuddy cabin, look no further than this 2000 Chaparral 235SSi, priced right at $16,000 (offers encouraged). This boat is located in Alma, Georgia and is in great condition. She is also equipped with a Volvo Penta engine that has 300 hours. Reason for selling is moving to larger boat. As expected with such low hours, the boat is in pristine condition, according to the owner. The trailer is also in like-new condition. Save yourself thousands of dollars by purchasing this lightly used runabout! The engine information has been supplied by the Seller. Pictures will be updated as soon as possible. Stock #140264 SPOTLESS boat - ONLY 20 hours on the engine! 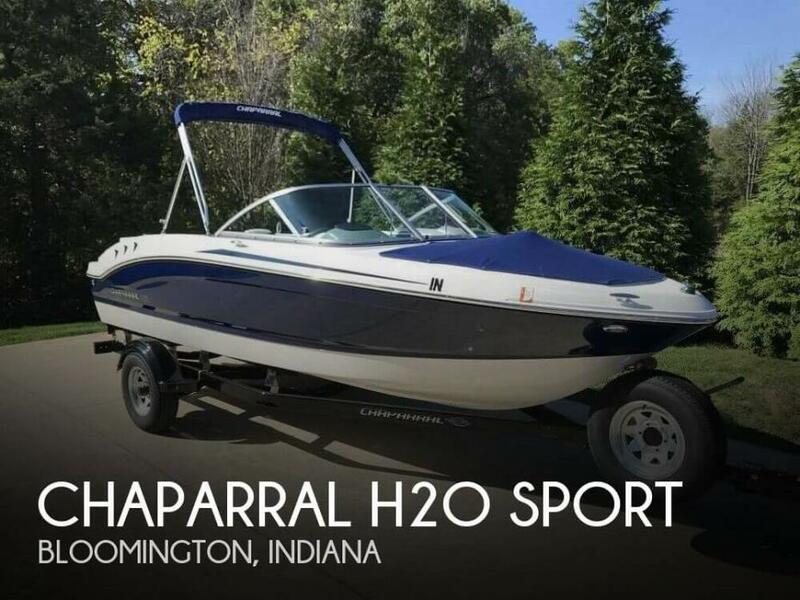 Garage-kept If you are in the market for a bowrider, look no further than this 2017 Chaparral 19 H2O Sport, just reduced to $31,400 (offers encouraged). This boat is located in Bloomington, Indiana and is in great condition. She is also equipped with a Mercruiser engine that has only 24 hours. Reason for selling is relocating.